Exterior shutters are considered to be architectural adornment for windows and doors. Creating custom shutters for the exterior of your home that ensures the perfect size, proportion and aesthetic balance for the façade of your home. Each order is produced to the desired specifications and finish details adding to your beautiful home’s charm and curb appeal. 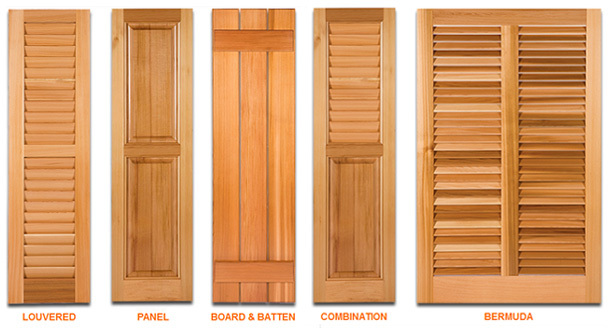 What is different about our shutters? Advanced Machining: Using the latest CNC (computer numeric code) technology, your order will be machined with precise tolerances, which is essential in creating our quality product. Hand Crafted Joinery: Our shutters are constructed using time honored mortise and tenon joinery that is additionally held fast with wood glue, then secured with specially engineered stainless steel connector bolts. Each shutter is hand assembled with accuracy and craftsmanship, NOT mass produced. QUALITY MADE in North Carolina, USA. 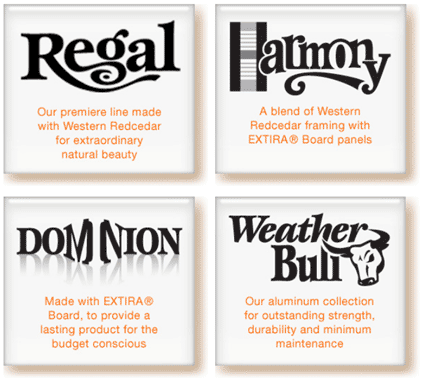 Material Options: Our favorite is the Old Growth Premium Western Redcedar, light weight, superior durability and strength. This fine grain wood has natural tannins that help preserve its character and the qualities are naturally resistant to decay, fungus, insects and weather. Other species are available as well as styles and colors. Finishes: Professional, expensive commercial finish equipment used with commercial exterior grade paints and stains not available at the local paint store to elevate the quality of your finish. Exterior Shutter Hardware: We carry a large selection of hand forged iron hardware, including Hinges, Pintles, and Stays (shutter dogs) to compliment the beauty of your new shutters. Sticking Profiles: We offer many different sticking profiles that are integrated into the stiles and rails of the shutters. Common choices are ogee, cove, bevel etc. We can customize to achieve any desired profile need to meet historical shutters or architectural/homeowner specifications. Custom Cutouts: Multiple panel cut outs are available, popular choices include moon, tree, star. Send us a sketch, we can custom cut your desired design. Variety of Styles available and finish options are endless! 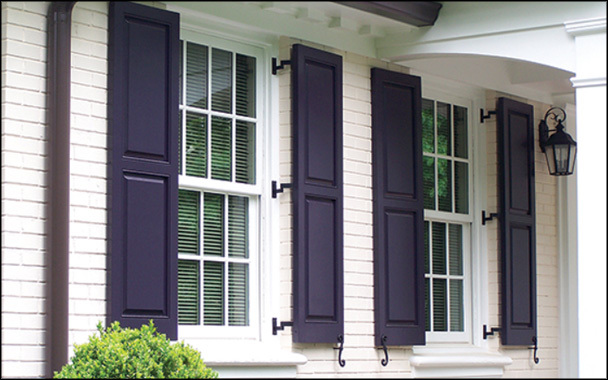 Exterior shutters have become an integral part of a home’s character and charm. We look forward to helping you find the perfect selections for your home. Contact us today!